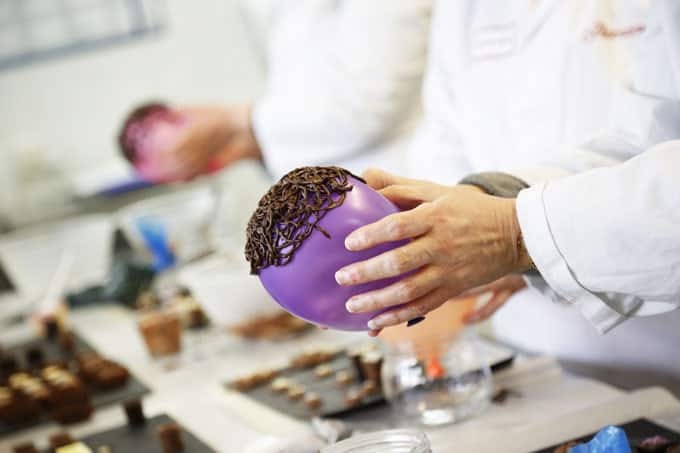 Thorntons Factory Tour - Adventures in a Chocolate Factory! 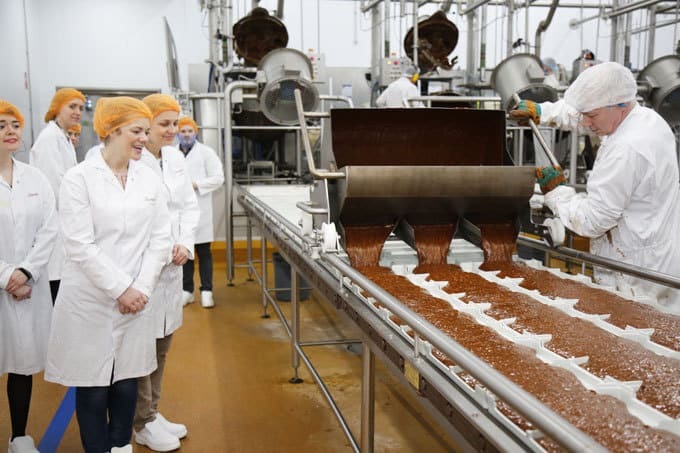 A couple of months ago, a Willy Wonka-esque invitation arrived, asking if I’d like to travel to Derbyshire for the day to have a peek behind the scenes at one of the largest chocolate producers in the country. 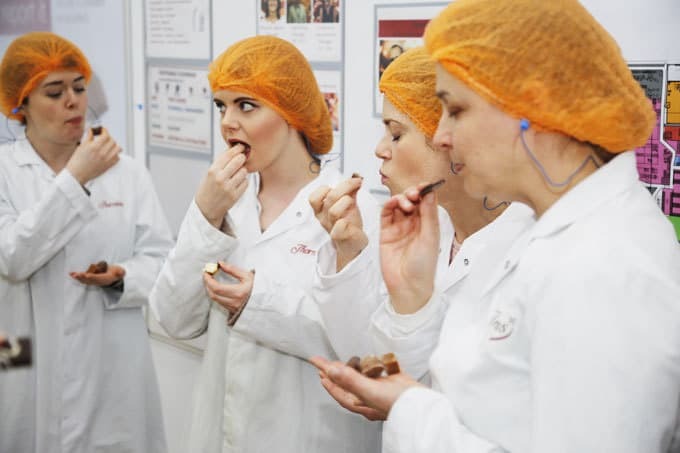 How could any chocolate lover not be excited by a Thorntons factory tour? It was such an interesting day, where my misconceptions about Thorntons were set straight. 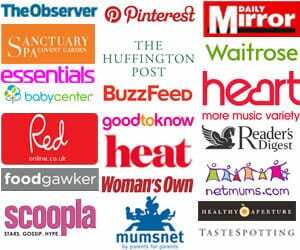 They are such a well known high street brand, I’d never have imagined the personal attention and care that goes into so much of the production. I will never look at an Easter bunny chocolate in the same way! These are where the bunnies (they are a whole piece, not two halves, which is quite unique to Thorntons) are cooled. 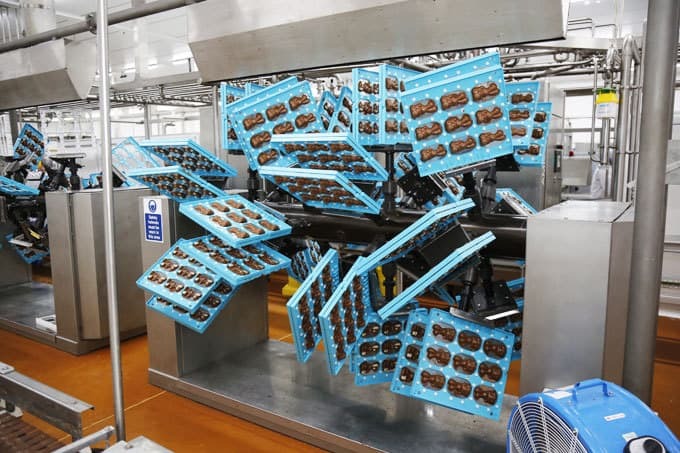 Each of the blue blocks is shaken and attached to the machine (which waves them around to gently disperse the chocolate) by hand and then removed at the exact moment the chocolate is set. The toffee pouring was something else, the smell was slightly intoxicating. 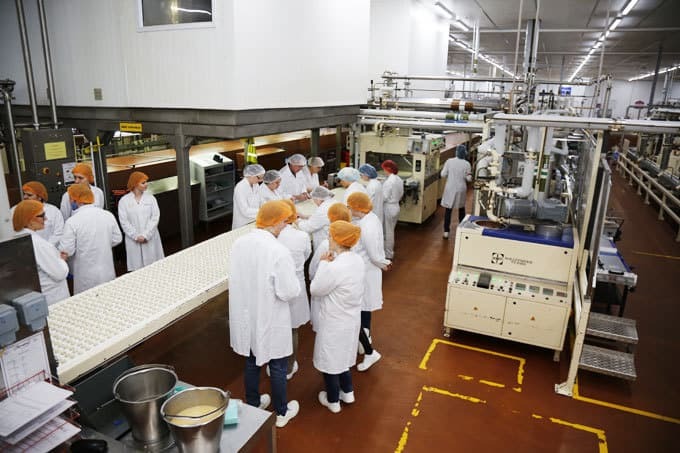 Heated to the precise temperature needed, it’s then poured by hand into every tray, at the exact speed that the operate has learned over years of practise. 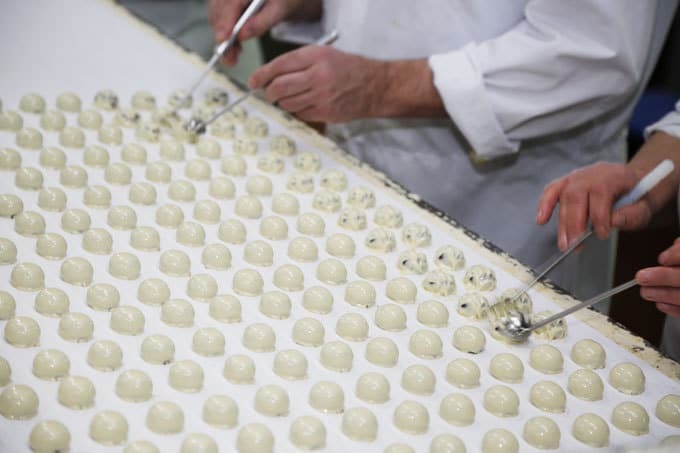 My favourite moment of the entire day was seeing the Vanille Truffles being finished by hand. 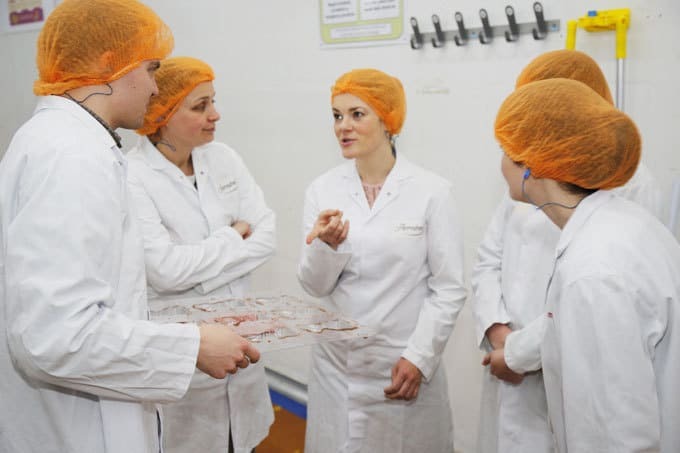 We watched a new batch being rolled and covered by machine and as they came in their thousands along the conveyor belt, some kind of flashmob of people in white coats appeared at the end of the conveyor, armed with cupped forks. 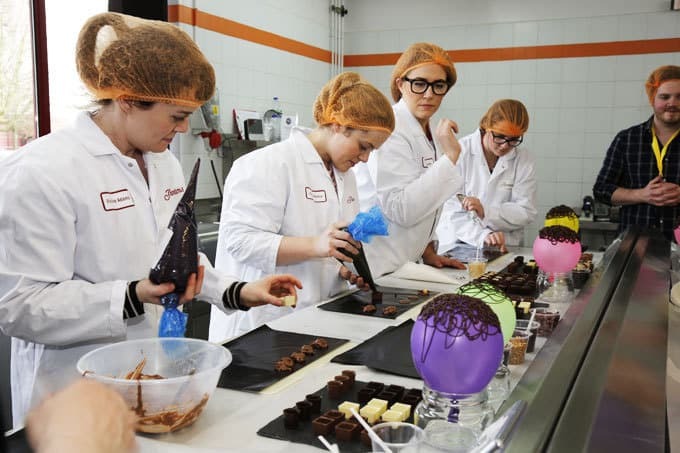 We watched as they seemlessly and effortlessly hand finished each chocolate. It was one of the most mesmerising things I’ve ever seen! 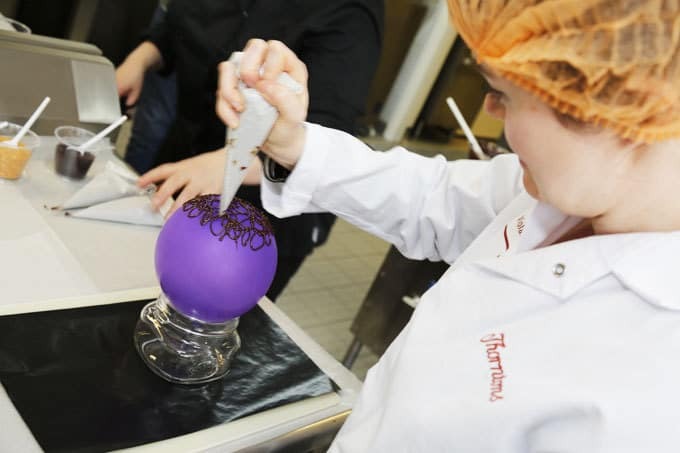 We watched thousands of eggs being painstakingly hand piped before having a go ourselves (not quite as easy as they made it look). 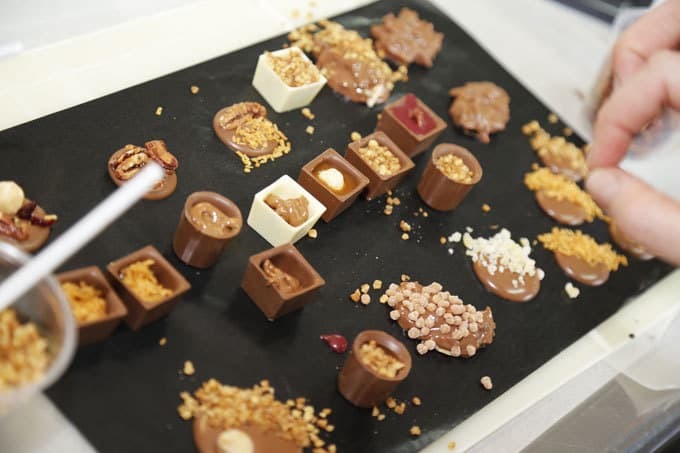 Next we went into the test kitchen to have a go at coming up with some of our own creations. Blueberry caramel pecan truffle anyone? Such an interesting day, full of chocolate surprises. The mixture of modern technology, robot arms working at the speed of light filling each mixed box, and the personal attention to detail by all of the people involved was fascinating. In future, I will enjoy an Alpini with a new insight! 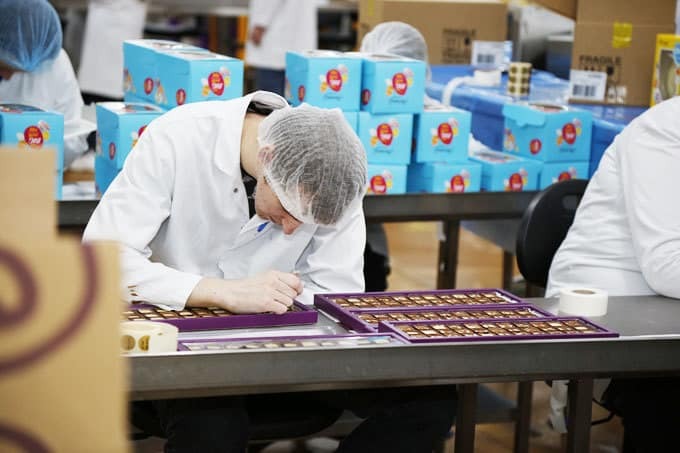 You can explore the factory yourself from home using the very clever interactive tour on their website: Thorntons Interactive Factory Tour. 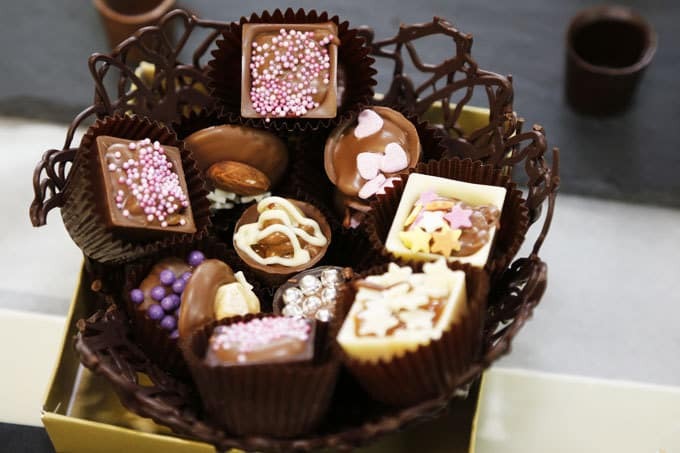 Disclosure: I was invited to visit as a guest of Thorntons but I was not required to post. I just had a super day! Some kind of flashmob of people in white coats, love it! Super memories of a fun day! OMG! What an incredible experience, something I’d love to do. All that chocolate, it must have smelt amazing. This looks AMAZING! Love that picture of your ecstatic face eating-this was me all weekend!